Keyworth Bridge Club, Keyworth , Nottinghamshire ,UK. For a Tues. or Thurs. evening then ring no later than 12-00 pm. on day they wish to play to Julie Spillane on 0788 201 5628. 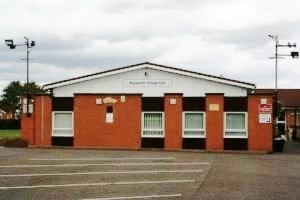 Keyworth Bridge Club was founded in 1973. Duplicate Bridge is played four times a week in a friendly atmosphere. On Tuesday and Thursday evenings in the Keyworth Village Hall at 7-00 pm. On Monday afternoon at the Burnside Hall, Plumtree at 1-00 pm. On Wednesday afternoon in the Keyworth Village Hall at 1-00 pm. Wednesday Sessions are hosted therefore partners are not required. Pre-dealt hands are used at most events. Visitors are welcome, please ring before proposed arrival. The Club is affiliated to the EBU and the Nottinghamshire Contract Bridge Association. We are still looking for hosts for Wednesday afternoon sessions. If you can offer a date please email David Adams at david.john@live.co.uk or call on 07789 205395. You only need to be prepared to play or not play if we have an even number of attendees. You do not need to do any administration or set-up.